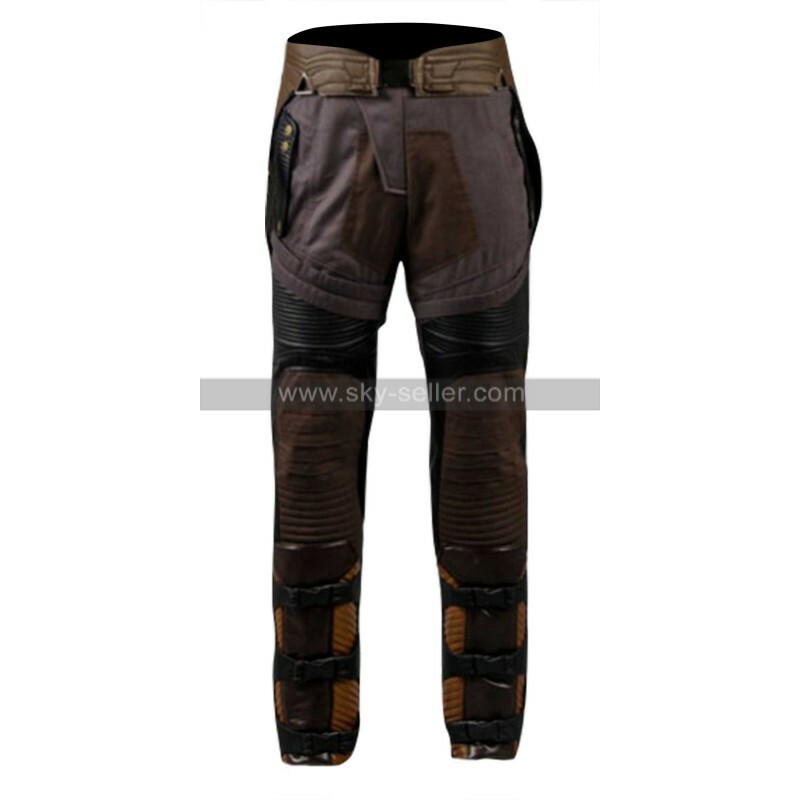 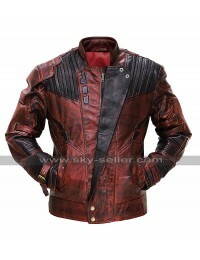 Are you a big fan of Star Lord, the fictional superhero who is a part of the Avengers family? 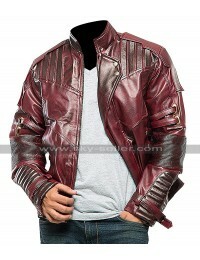 If yes, then here is a great opportunity for you to look and feel like him. 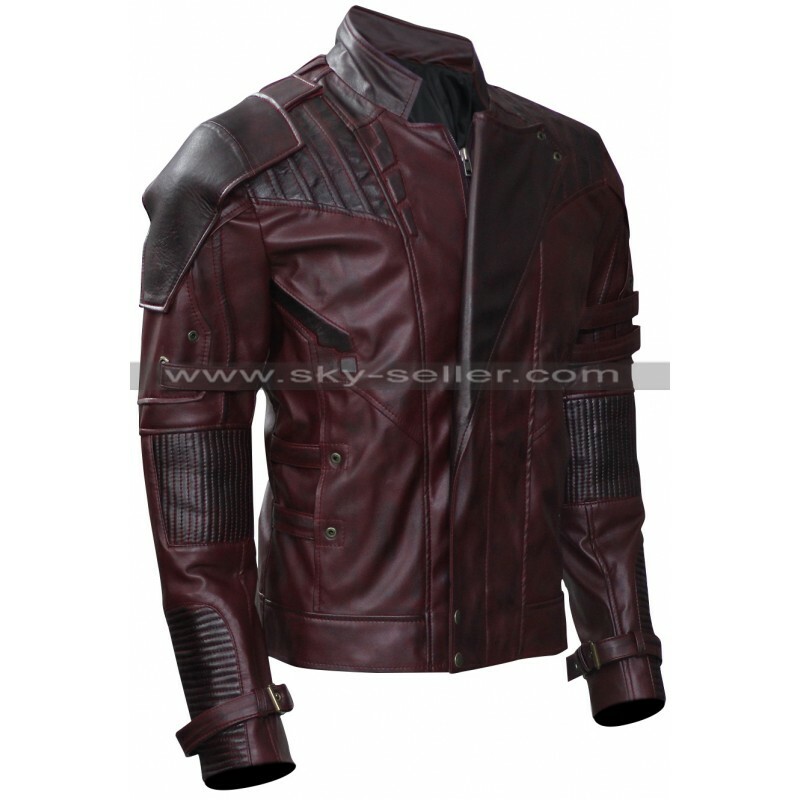 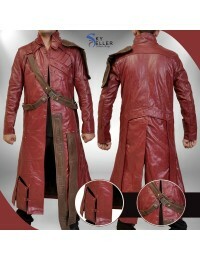 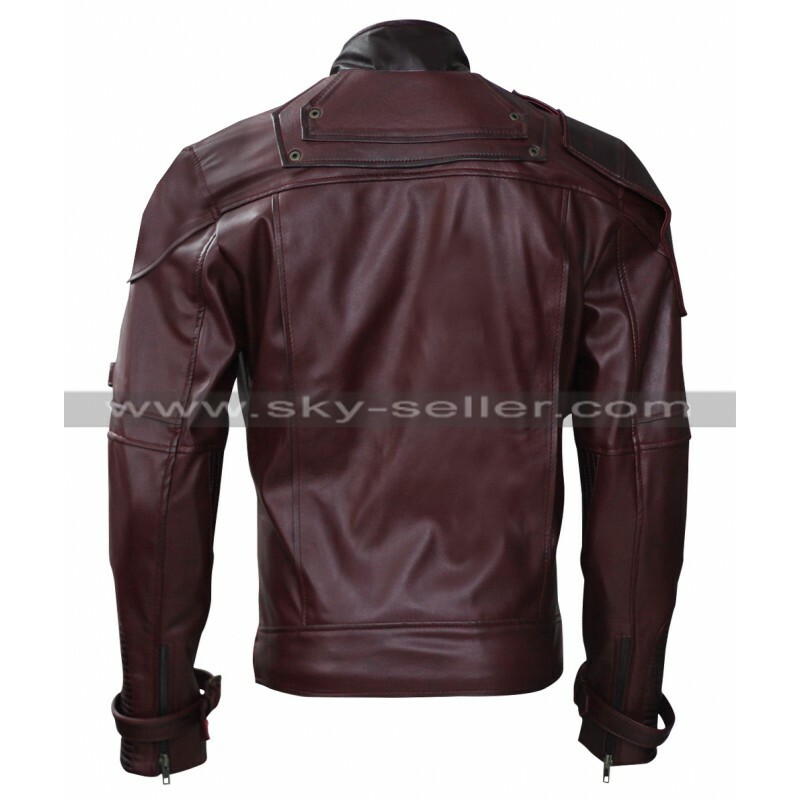 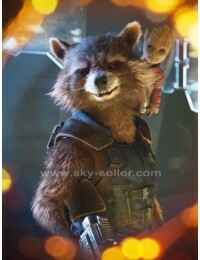 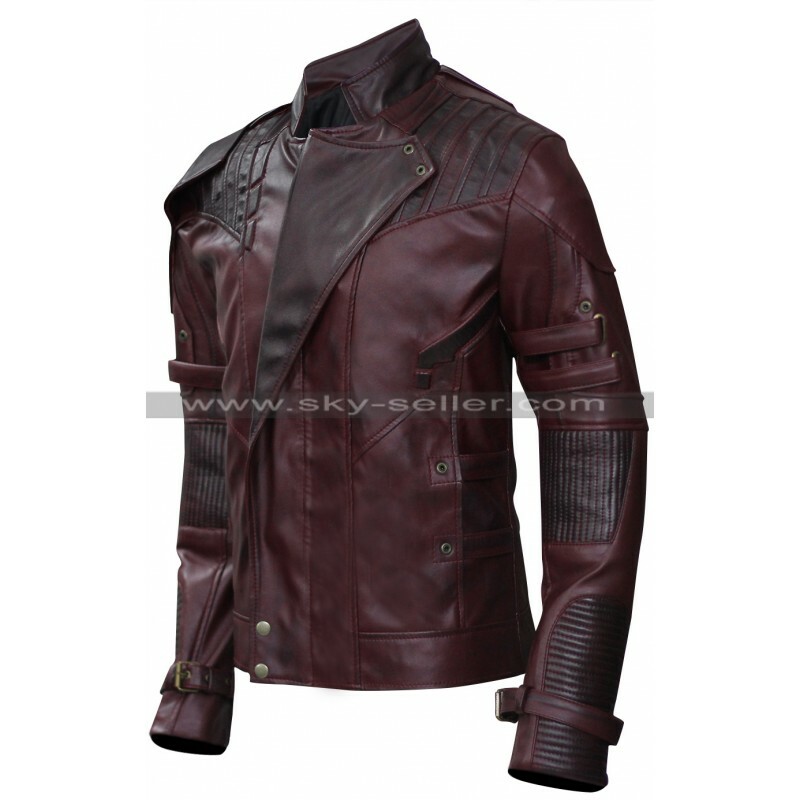 This is a replica of the maroon leather jacket that has been worn by superstar Christ Pratt while playing the character of Star Lord in the latest Hollywood superhero movie Guardians of The Galaxy Volume 2. 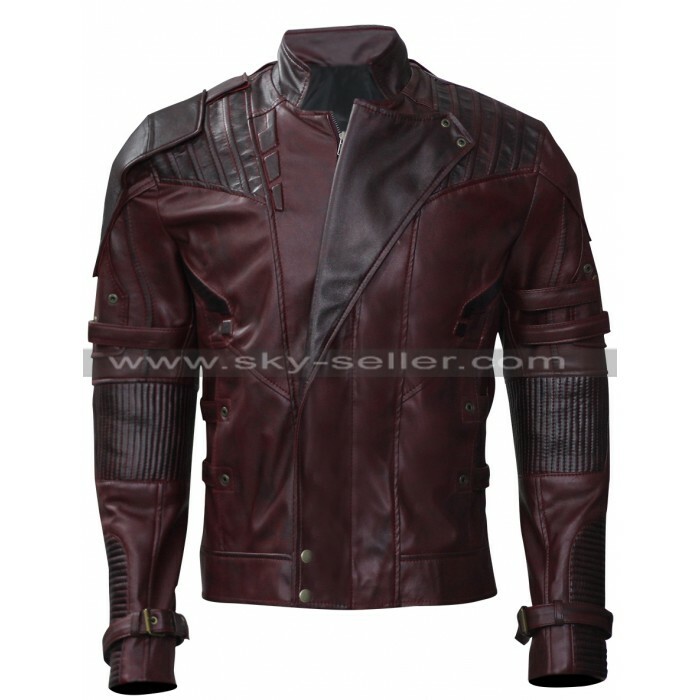 See Peter Quill perform wonderful action wearing this majestic looking maroon leather jacket once again in Guardians of the Galaxy. 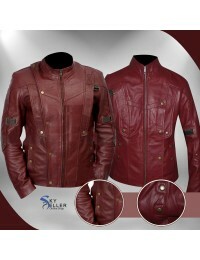 Available in genuine leather and faux leather, this maroon colour jacket looks awesome at first glance. 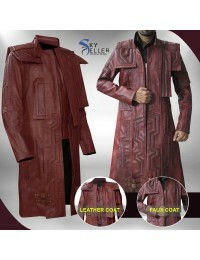 It has a beautiful design on the shoulders and both the sleeves to make you look like a star in parties and functions.